British author. She was born in London on September 25th 1925. Married a stud owner and trainer, which no doubt gave her much material for her books and lived in Devon. 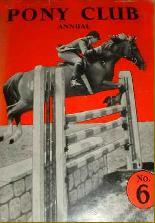 She wrote or edited quite a few non fictional horse books plus a number of fictional pony stories. Most of the latter are graced with lovely drawings by top illustrators of the time such as Lionel Edwards and Michael Lyne. Unfortunately for collectors, most of her pony books are hard to find and/or expensive. Interestingly and at something of a tangent, she also wrote a few books on circus life. SUMMARY: Pony-point-of-view story about the adventures of a Welsh pony called Topper who in the Black Beauty mould, goes from a loving home to hard times. PONYMAD VIEW : Better than the average book of this type although somewhat unoriginal. The highlight of the book are the gorgeous illustrations. Fairly rare, especially with dust jacket. SUMMARY: Despite bring brought up in a horse-mad family (or perhaps because of it) Jane dislikes riding intensely and is fed up with horses. So when she is to have a holiday by the sea with her non-horsy Uncle and Aunt she jumps at the chance. There, however she meets a very different pony from the sleek show ponies and hunters back home. Kitty is a scruffy ill-fed old beach pony. But Jane, to her surprise, falls in love with the old mare. Will Kitty help her learn to love the horsy life? PONYMAD VIEW : Fairly original plot and a sympathetic character, and plenty of emotional impact make this in my opinion the author's best story. SUMMARY: Pony point-of-view book in which an Exmoor pony tells of his life on the moors and his other equine friends then narrate their own stories. PONYMAD VIEW : Better than the average book of this type, made slightly more original by having three horses narrate their own stories. 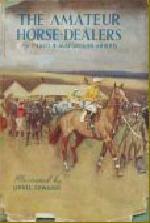 The characters of the horses are well drawn and the book is easy to read, although slightly slow paced. SUMMARY: Pony adventure story set on Dartmoor. On holiday with their aunt, Roger, Helen and Tom are wishing they could have an exciting adventure like in the books they read. It seems their wishes may come true when they hear about an escaped convict running losse on the moors. 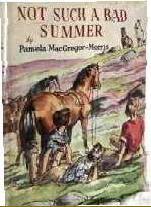 Teaming up with a local gypsy boy, the children set off on their ponies to hunt down the criminal. PONYMAD VIEW : Better than the bare bones of the plot suggest. The author pokes gentle fun at the adventure genre and its cliches and creates an easy to read and pleasant holiday adventure story. SUMMARY: When Jennifer and Simon's father is made redundant he decides to supplement the income from his farm by doing a bit of horse-dealing. 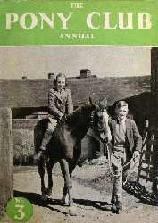 The two children think they too would like to try their hand a bit of horse-coping. Aided and abetted by their elderly but knowledgeable granny, they put their plans in motion while their parents are away…. Reprinted in the Collins Pony Library hardback edition in 1973. SUMMARY: After leaving school, Fiona wants to work with horses, but her parents are worried this will narrow her horizons. Therefore she is persuaded to go on a residential course where domestic sciences and languages are taught, along with a riding instructor's certificate. Fiona enjoys the course and becomes friendly with Gavin, the son of the couple who run the course, as well as falling in love with a gorgeous bay horse called Lucifer she helps break in and successfully show jumps. But all too soon the course is over and she must leave Gavin and Lucifer behind to take on her first job. There she soon realises that working with horses is not as easy as she imagined. Will her dreams of riding professionally ever come true? Not an easy author to collect as most of her books are rare or very rare. 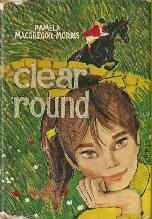 The only one which is very easy to find is Clear Round, and this is usually in the Collins Pony Library edition. Topper is not too scarce in the UK, although much harder to find elsewhere. All the other titles can be elusive and expensive. SUMMARY: Donald goes to stay in Cornwall where he learns to ride. SUMMARY: Will Harkaway ever settle in his new home? The annuals are fairly hard to find now, especially outside the UK, although can often be picked up quite cheaply.